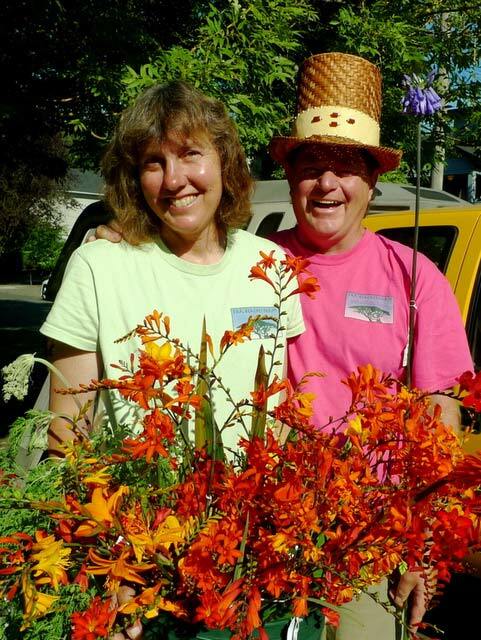 Valerie Easton's wrote about us in her Seattle Times article on Crocosmias. Check out the great article by Dan Hinkley on Far Reaches in the Nov/Dec 2012 issue of Horticulture. After reading it, we could hardly wait to go out to the nursery ourselves! Ann Lovejoy wrote a nice article about us in the Kitsap Sun: link. Valerie Easton featured us in a wonderful article in the Seattle Times: link. We were also featured in Pacific Horticulture Magazine in January 2011: link. Panayoti Kelaidis, Curator of the Denver Botanic Garden, visited us recently and wrote in his blog. Ian Barclay, from The Desert Northwest wrote a nice article about us on his blog: link. Here's our profile in the Northwest Flower and Garden Show: link. Val Easton features us again in an article about our pink cardiocrinums, here and our new mail order business, here.